The outdoors are really inviting to be enjoyed when the weather is too beautiful, romantic and totally in your favor. And the fun of the outdoors gets doubles when you have your dinner, lunch or the breakfast with the family members. But a dining table is necessary to possess to experience a great entertainment with the dear one and we have with us a really unique and innovative type of table that would surely blow your mind away with extreme amazement. 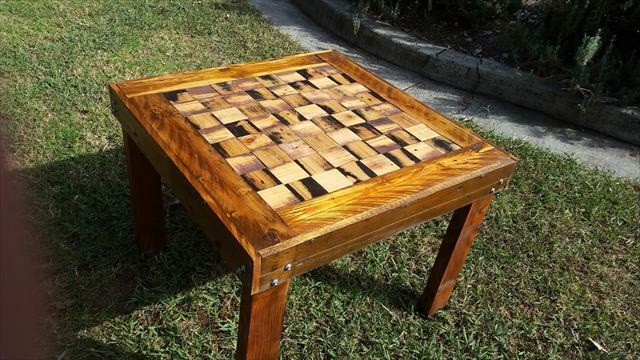 So check out this Pallet wooden chess dining table of square shape to let you enjoy some short meals on it in the fresh and natural outdoor ambiance. 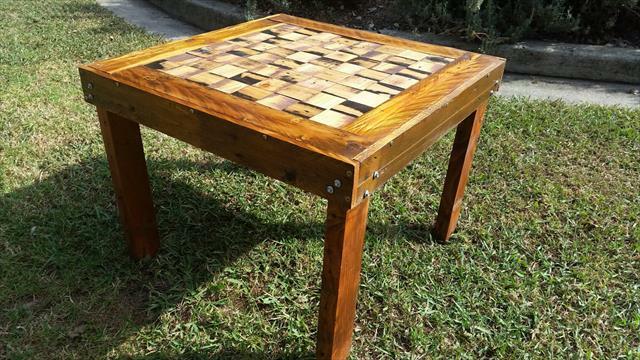 What makes the table look that wonderful and creative is the table top which is actually a chess board having been built from the sixty four pallet cubes inlaid into the pallet table boundary. 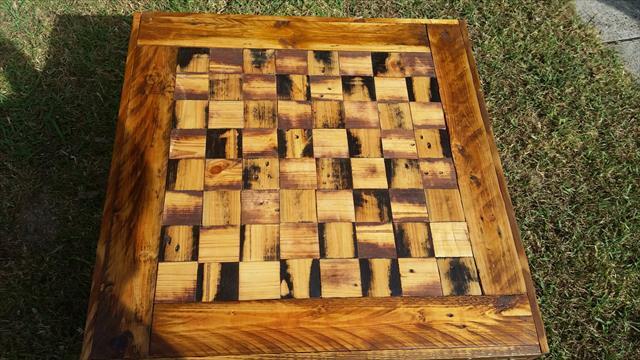 The cubes have been stained in mahogany and black stains alternatively so that you can play the chess when not eating on it.